It's funny that a Indian Art inspired product shop is selling toilet paper considering that toilet paper was a rare commodity in India, ten years ago. The only place one would find toilet paper was in a nice hotel. The toilet paper would abrase ones rear like a fine sandpaper. Enough of that. Below we have an interesting product with a folk story to ponder while on the toilet. 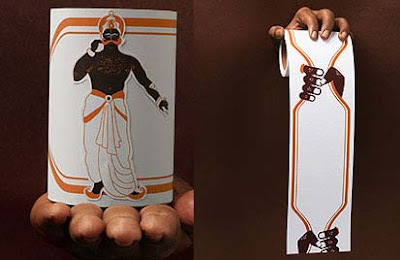 This hand-grabbing toilet paper is inspired by the evil king Duryodhana who ordered “Cheerharan” or stripping of the saree, in a famous Indian epic from the 4th century B.C. That saree never came to an end, this toilet paper unfortunately will. 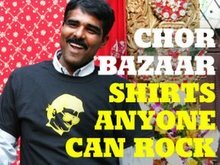 Available at "The Design Temple Store", they have some other interesting product ideas as well.